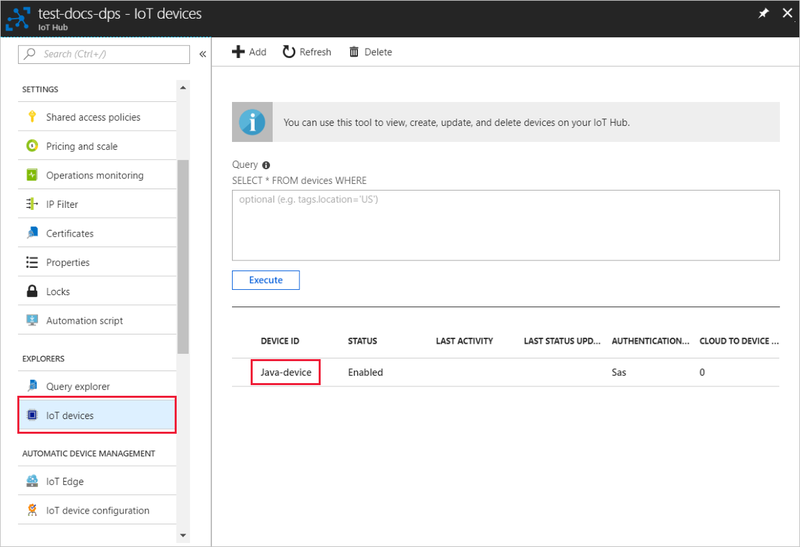 These steps show how to create a simulated device on your development machine running Windows OS, run the Windows TPM simulator as the Hardware Security Module (HSM) of the device, and use the code sample to connect this simulated device with the Device Provisioning Service and your IoT hub. Make sure you have Java SE Development Kit 8 installed on your machine. Open a command prompt. Clone the GitHub repo for device simulation code sample. Run the TPM simulator. Click Allow access to allow changes to Windows Firewall settings. It listens over a socket on ports 2321 and 2322. Do not close this window; you need to keep this simulator running until the end of this Quickstart guide. In a separate command prompt, navigate to the root folder and build the sample dependencies. Navigate to the sample folder. 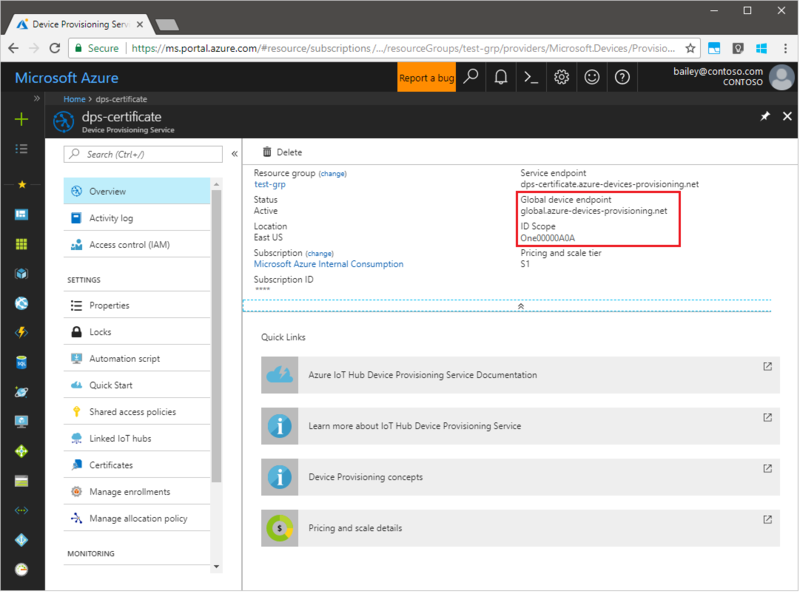 Sign in to the Azure portal, click on the All resources button on the left-hand menu and open your Device Provisioning service. Note your ID Scope and Provisioning Service Global Endpoint. Edit src/main/java/samples/com/microsoft/azure/sdk/iot/ProvisioningTpmSample.java to include your ID Scope and Provisioning Service Global Endpoint as noted before. Build the project. Navigate to the target folder and execute the created jar file. The program begins running. Note the Endorsement Key and Registration ID for the next section and leave the program running. Enter the Registration ID and Endorsement key for your TPM device as noted previously. 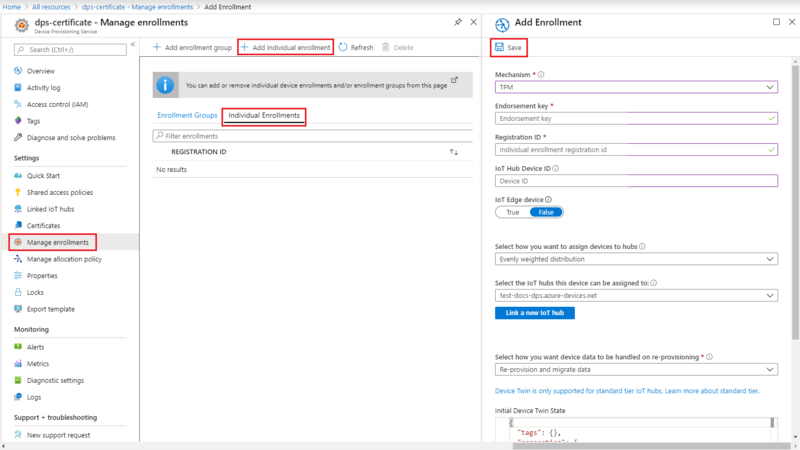 On successful enrollment, the Registration ID of your device appears in the list under the Individual Enrollments tab. On the command window running the Java sample code on your machine, click enter to continue running the application. Notice the messages that simulate the device booting and connecting to the Device Provisioning Service to get your IoT hub information.